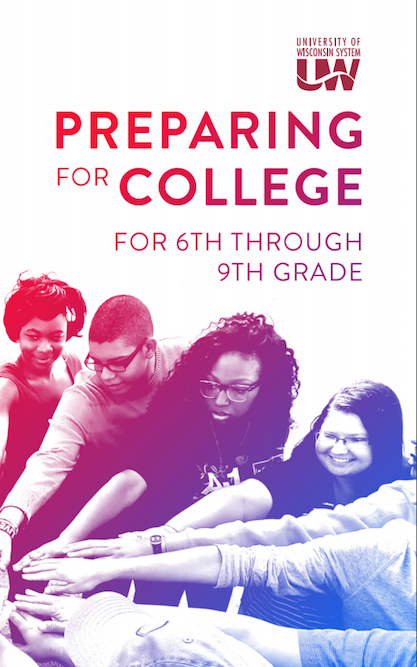 For the 2019-2020 school year, counselors will be able to pre-order publications which will be available for pick-up at the location of the fall workshop in which they registered for. 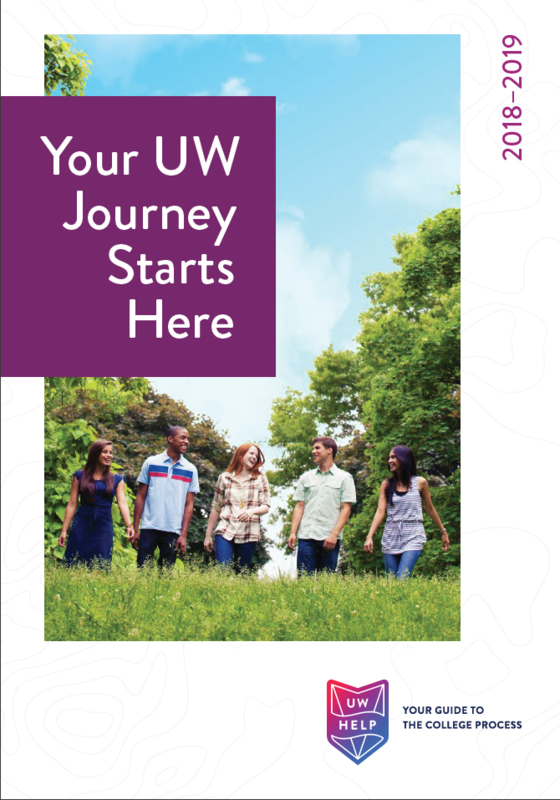 More details available this spring. 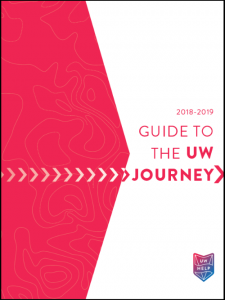 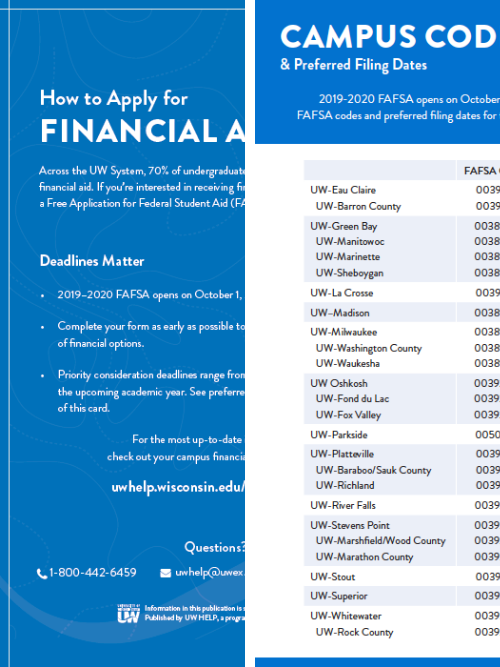 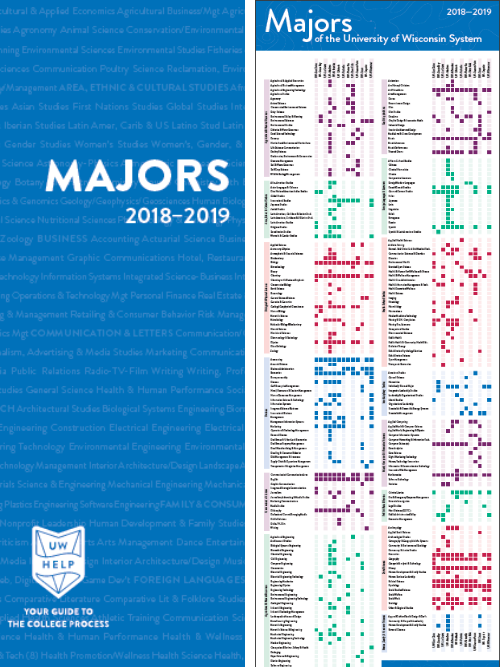 UW HELP produces brochures, posters, and other publications to help students, their families, and school counselors navigate the process of preparing for college. 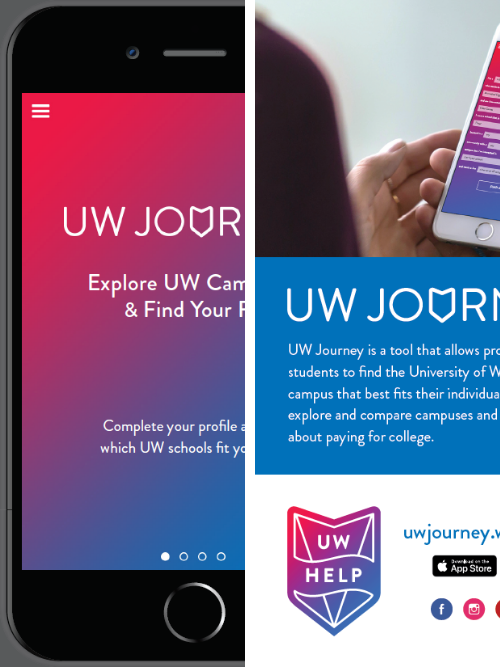 If you are a student, you can also request more information about UW System schools by sharing your contact information. Our 2018-2019 Digital Counselor Guidebook includes all of the information that you need to navigate students and parents through the admissions process. 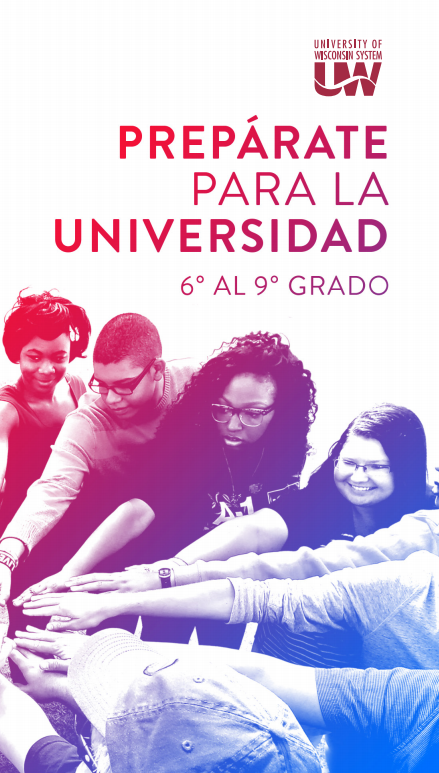 Inside you will find information on the application process, admission guidelines, campus profiles, checklists and financial aid. 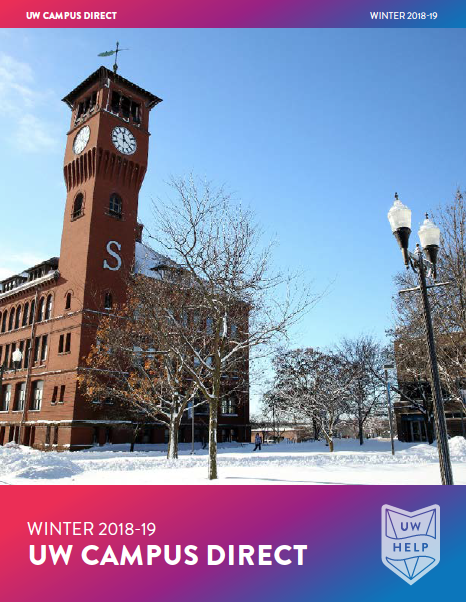 Click below or on the image to explore the digital brochure. 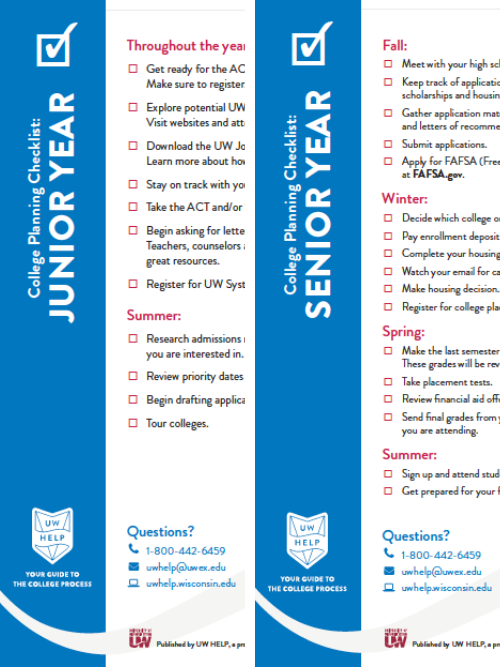 Fill out the form below to receive more information about the campuses you are interested in.